In 1844, Edgar Allan Poe had a lot on his mind. 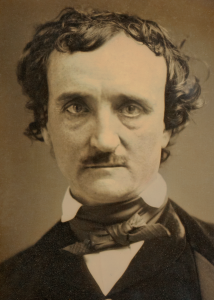 Though he’d already published some short stories and newspaper pieces, Poe was still a struggling writer working on a poem called The Raven and editing articles for the Evening Mirror. He also had his young wife to worry about. Virginia Clemm was sick with tuberculosis. Instead of living downtown or in Greenwich Village, as the couple had in 1837, they moved to a country farmhouse roughly at today’s Broadway and 84th Street. At the time, this was part of the bucolic village of Bloomingdale. Fresh air, the thinking was, might help ease Virginia’s illness. 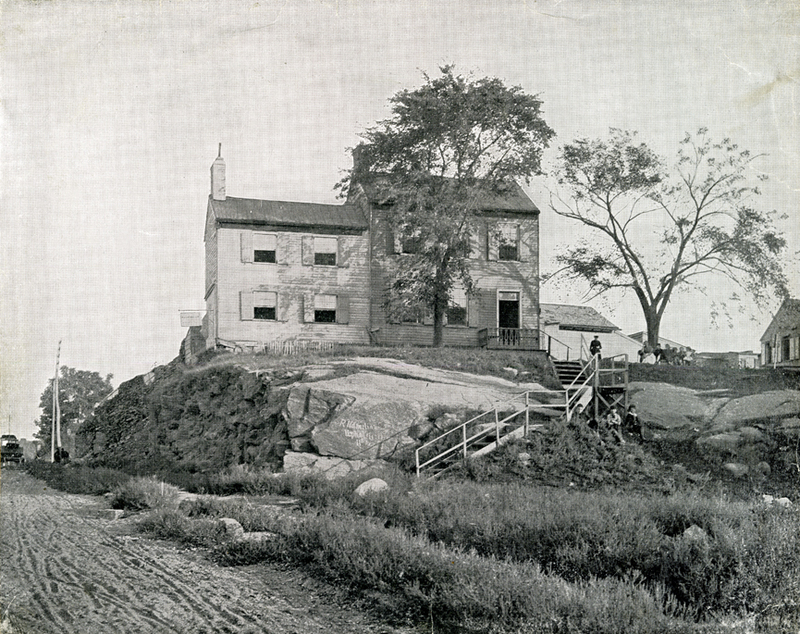 When Poe needed to get away from the farmhouse (above, in 1879) and seek inspiration, he went to a rocky knoll of Manhattan schist in the woods overlooking the Hudson River, on the border of the not-yet-created Riverside Park.